Place the Pecans and Sugar in food processor work bowl fitted with the chopping blade. Pulse until Nuts are broken up; then run until a paste forms. Pat the Nut paste into pie pan; set aside. Using a medium size bowl, beat the Eggs, then add the Pumpkin and mix well. Beat in the Sugar, Cream, Salt and Spices. Place the pecan-lined pie pan on a jelly roll pan and pour in the filling. 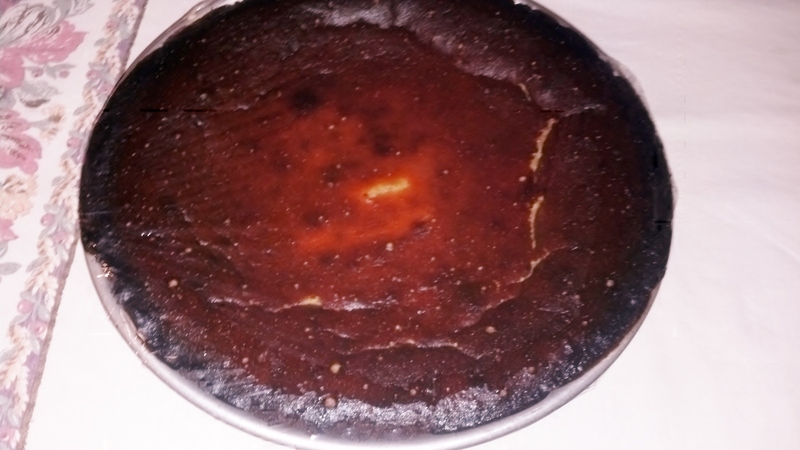 Bake in preheat oven 375 degrees) for 40 – 50 minutes or until a knife inserted into to the custard 1” from the crust edge comes out clean. 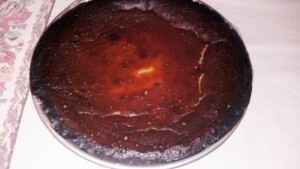 Note: The photo on the right is Pumpkin Pie in a Pecan Crust – this is what happens when the oven is too hot. The photo on the left is Pumpkin Pie in a Pastry Crust. 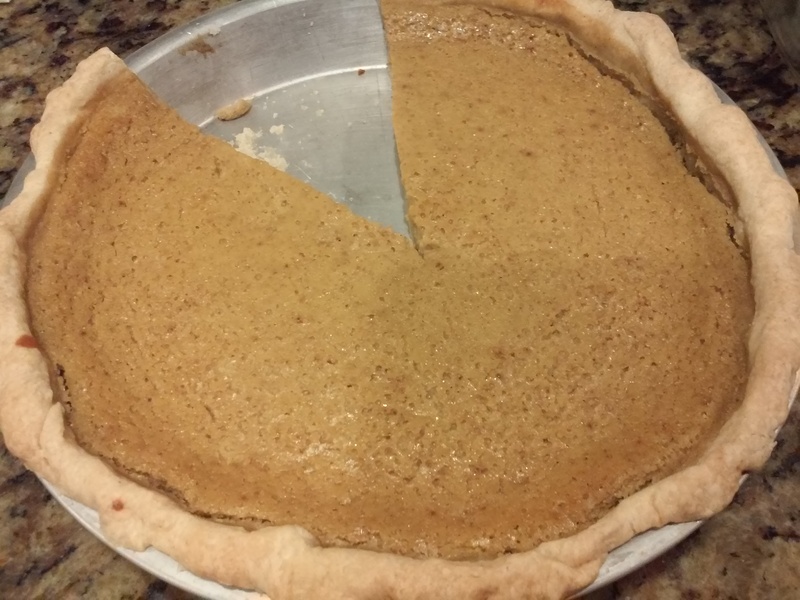 This pie was baked at the correct temperature.